In just 2 days we will escape this cold and dismal weather of the North, for the more temperate climate of Orlando, Florida. Our 5th annual family week-long trip to Walt Disney World will once again kick off with a couple of races. On Saturday I will join my better half for the running the Walt Disney World 1/2 Marathon, as she makes the 13.1 mile journey through the Magic Kingdom and Epcot. On Sunday I'll be with my friend Peter (who will also join us on Saturday) for the "most magical 26.2 miles on Earth", the Walt Disney World Marathon, a trek through all four Walt Disney World theme parks (Magic Kingdom, Disney's Animal Kingdom, Disney's Hollywood Studios, and Epcot). 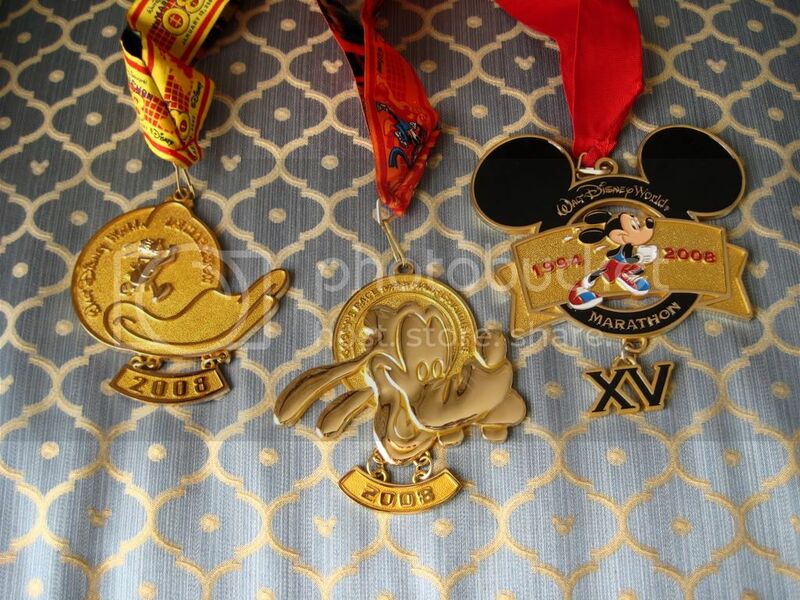 All of those who were lucky enough to register for and pay the whopping fee of $245 to enter the Goofy's Race and a Half Challenge, and, of course, finish both the marathon and half-marathon events within the time limit, will be awarded the coveted Goofy medal. IRunUltras.com previewed both events last December (see Walt Disney World Marathon Weekend Preview and Walt Disney World Marathon Preview). Not much has changed since our prior previews, but, let's just take a quick look at the course for each event. The Half Marathon start is located just outside of the Epcot parking lot. From the start, runners head up World Drive towards the Magic Kingdom Park. Once in the Magic Kingdom, the course passes through Tommorwland and Cinderella Castle, before returning to World Drive for the return trip to Epcot's Future World and the finish. Runners should enjoy their time in Magic Kingdom and Epcot, as the course, except for the brief jaunts through those parts of the Disney grounds, are entirely on roads. The course has nine (9) beverage aid stations (offering Dasani water and PowerAde). Clif products are provided at the 8.7 mile mark. The Marathon is divided into two starts (blue and red). The blue and red starts run different routs for the first 3.4 miles in and around Epcot, before merging on the way to the Magic Kingdom. Upon arriving in the Magic Kingdom, runners will pass through Tomorrowland and Cinderella Castle before heading off to Disney's Animal Kingdom, where they will run past the Expedition Everest attraction. The brief stop in Disney's Animal Kingdom is followed by a trip towards Disney's Wide World of Sports Complex and then the lights, camera, and action of Disney's Hollywood Studios (where runners will run through Washington Square Garden, get a taste of the Big Apple on new York Street and pass by the Sorcerer's hat before exiting the park via Hollywood Boulevard). From there, it is on to the coastal village of Disney's yacht and Beach Club Resort, then back through Epcot for the finish. The course has twenty two (22) beverage aid stations (also offering Dasani water and PowerAde). There are also four (4) food stops along the way, offering bananas (mile 13.2), Clif products (mile 16), bananas and Clif products (mile 19), and candy (mile 23). Sponges are provided at mile 17.5. You can also check out IRunUltras.com's race reports for the 2008 Disney events, complete with pre-race, race, and post-race commentary and pictures (see 2008 Goofy Challenge - Part 1 - Half Marathon Pacing and 2008 Goofy Challenge - Part 2 - Marathon a Success). We will, of course, have race reports on-line shortly after the 2009 Disney events, with (hopefully) more pictures and videos. On a side note, make sure to head over to iRunFar.com today for 2009's first edition of This Week In Running (Week of 1/10 & 1/11). At left : Me and Peter after the 2008 Disney Marathon. Am I the only one who hates Disney??? My goal is to lure you men into my blog with words like "running" then switch it on you to topics like periods and make up. Muuuahhh. I'm evil like that. Hi Anthony. By the looks of thing you are an old hat when it comes to a little Goofy Challenge this weekend. We are staying across the street from DW at Royale Parc Suites. Unfortunately it's not a Disney hotel but at $95 a night including breakfast it makes it a little more bearable after we get through the $3,000 for flying from Canada. We leave Calgary tomorrow at 7am (with the 6 and 7 year old in tow) and arrive late in the afternoon. It would be great to meet-up. Let me know your schedule. I think the Goofy challenge seems, well, so challenging! My first marathon was Disney, and while I loved the race, I hated the marathon distance; however, I do want to return for the half someday. I'd like to take the family down some year and do the races and enjoy the park. 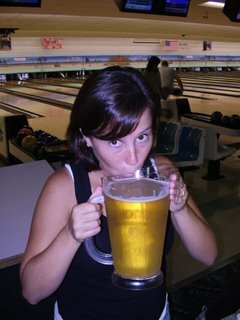 I wish it was new years wknd instead of the week after..
Have fun with the family and the Goofy Challange. Looking forward to reading all about it. Did you submit for Badwater yet? Have a great week! Say hello to the Little Mermaid for me! She's hot! Oh, and good luck at the races too! Hope you have nice weather for your visit down there. Enjoy, and good luck in the races! A lot's changed since I ran the full marathon in 2004, and maybe for the better. That entry fee is steep, but then again so is anything bearing the Disney label. great photo --but don't recognize the medal ribbon --is that the 2007 or 2006 race? ?